For the Class of 2019, applications will be accepted beginning February, 1, 2019 through April, 5, 2019. All applications must be submitted to your campus CBA or Lead Counselor (LC) by March 29, 2019 unless otherwise noted. CBAs or LCs will ensure all applications fit the criteria, are fully completed, sign all applications and ensure that applications arrive at the SAISD Foundation offices (Twain Dual Language 2411 San Pedro) no later than Friday, April 5, 2019. Please note, all applicants MUST be willing to submit information the the SAISD Foundation about their progress in college when requested and be open to communicating with the donor of the scholarship. Unless otherwise noted, use the following Standard SAISD Foundation Scholarship Form. Download Standard Application in PDF. Download in Word. Please note, some applications require a specific essay instead of, or in addition to, the essay listed on the application. Looking to Support College Bound SAISD Students? 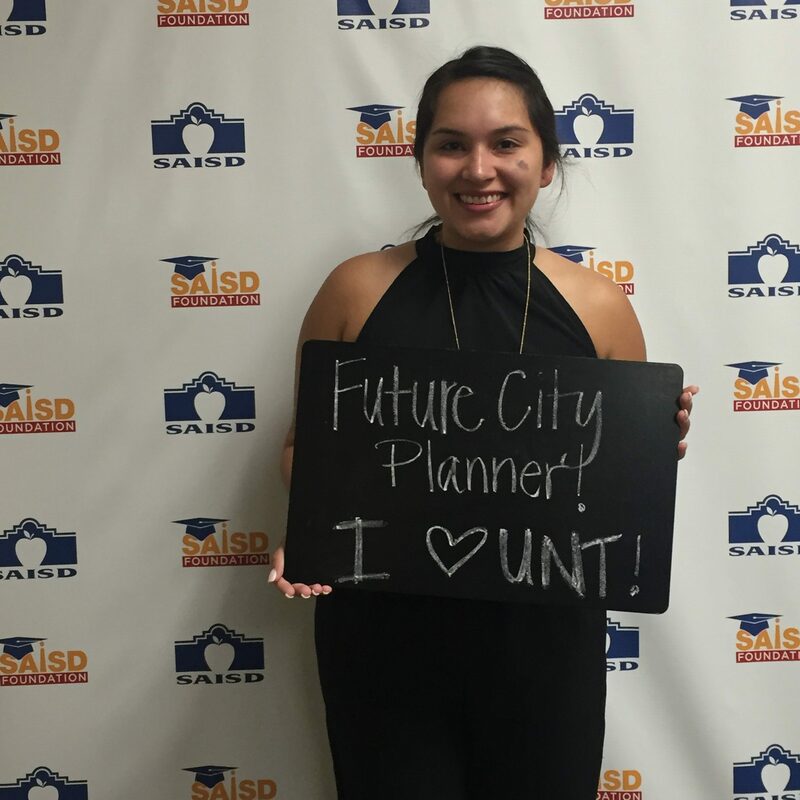 There are MANY opportunities to support SAISD’s growing number of College Bound students. Donate to an existing scholarship or to the SAISD Foundation Scholarship Fund. Donate here. Create a new named scholarship or an endowed scholarship. Click here. Donate to the new College Bound Emergency Fund to support students in getting from college acceptance to the first day of college. Funds are used to support flights, down payments for on-campus housing, required medical insurance and all the things that can prevent a student from walking in to the first day of class on the college campus in which they enrolled. Donate here. Note College Bound in the comments and you are welcome to specify a high school. Are you a student who needs to process a scholarship award? Annually, the SAISD Foundation supports more than 150 students scholarships to pursue higher education and Emergency Gap Funding awards to reduce our students’ barriers stepping on the campus for their first semester. The SAISD Foundation accepts donations, planned gifts and bequests from alumni, businesses, and community donors to support the dreams and aspirations of SAISD students pursuing all forms of post secondary education. The scholarships and gap funding managed by the SAISD Foundation are done so in partnership with College and Career Readiness Team for the District and the Lead Counselors and College Bound Advisors at SAISD’s 14 high schools. Active Scholarships are listed below. Interested in starting a scholarship? Click here for more information or contact us. 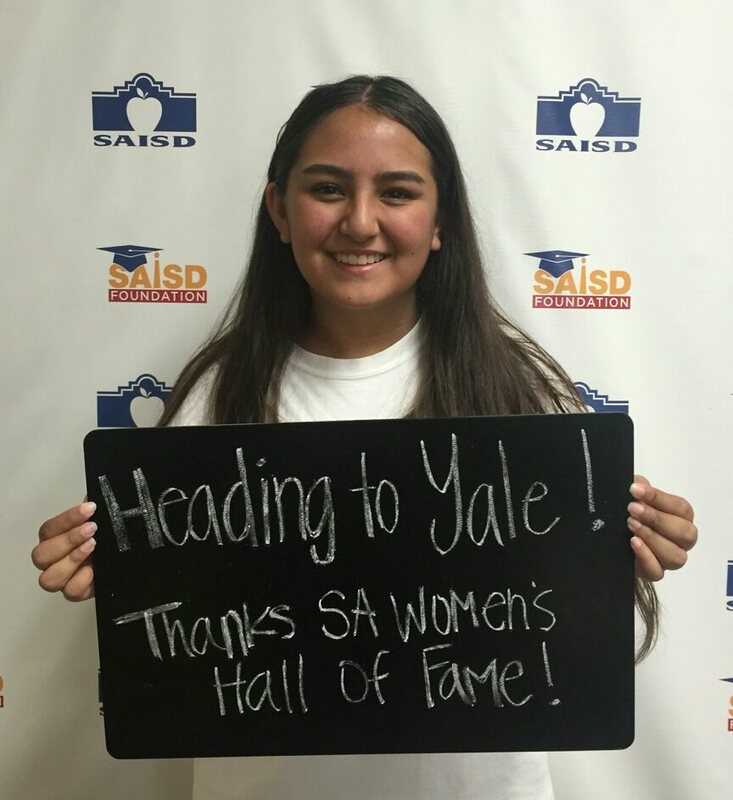 If you are a scholarship recipient, contact us and tell us your story or tag us in social media @SAISDFoundation so we can share your successes. This $1,200 scholarship, renewable for a second year, is awarded annually to the Valedictorian of Jefferson High School. This scholarship was established in memory of Mrs. Akin, who was the Valedictorian of Thomas Jefferson High School’s graduating class of 1942. This scholarship was created through the generosity of Mrs. Akin’s children and those inspired by her story. Student Eligibility: Valedictorian of Thomas Jefferson. Application must still be submitted to be awarded. This $500 renewable scholarship will be awarded annually to a graduating senior at Lanier High School enrolled in the Automotive Program and going on to pursue an AAS two-year degree at St. Philip’s College in Automotive Technology. This scholarship was created through the generosity of the South Texas Regional Group 71 of the Early Ford V8 Club of America. Student Eligibility: Graduating Senior from Lanier Automotive Program. This $1,200 scholarship which is renewable for a second year, is awarded annually to honor former Mayor Castro and recognize his dedicated service to San Antonio by Centro San Antonio. 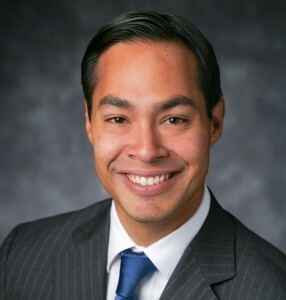 As a City Councilman, Mayor and Cabinet Secretary of the Department of Housing and Urban Development (HUD), Julian Castro advocated for the best interests of San Antonio, continuing a legacy of family service that was started by his mother, Rosie Castro, and carried on by him and his twin brother, Joaquin. Graduating from Jefferson HS, Castro went on to attend Stanford University, where he majored in political science and communications. After he graduated from Stanford, he attended Harvard Law School. Upon completion of his Juris Doctor, he began working for a law firm in Washington D.C. before returning to San Antonio. In 2001, Castro was elected to San Antonio’s City Council and in 2005 ran for mayor, unsuccessfully, against Phil Harberger. He did not give up on his dream, and was elected Mayor of San Antonio in 2009. In 2014, Julian Castro accepted a nomination from President Barack Obama to serve as the Secretary of Housing and Urban Development. After the Obama administration left office, he returned to San Antonio, where he continues to advocate for the betterment of the City. He recently accepted a position with UT Austin as a distinguished fellow and fellow for the Davila Chair in International Trade Policy. Student Eligibility: 3.5 GPA; graduating senior at Fox Tech; plans to attend a college or university in San Antonio or Texas; application with the following essay questions: How do you plan to utilize your college education to make a positive impact on and give back to the San Antonio community? How would this carry on Mayor Castro’s legacy? This $1,500 scholarship is awarded to a graduating Jefferson High School student planning on attending St. Philip’s College to become an electrician. This scholarship was established by friends of Bobby Corbo to assist students in their pursuit of higher education and honor his work in the field. If you are a friend of Bobby’s and want to contribute, click here to donate. Student Eligibility: graduating Senior at Thomas Jefferson; plans to enroll in St. Philip’s College to become an electrician. This $1,200 scholarship was created in 2013 through the generosity of two alumni from Burbank High School to assist a Burbank graduate of Hispanic descent with tuition, books, and college-related expenses in his or her first year of college. Thank you Mr. & Mrs. Leal for supporting students from your alma mater! Student Eligibility: 2.5 GPA; graduating senior at Burbank; of Hispanic decent; demonstrated financial need. This $1,000 scholarship has been created to honor Robert “Bobby” Deckard Jr. and share his spirit with students graduating from Highlands HS who are pursuing a college degree and were involved in some of high school activities Bobby enjoyed. Bobby loved his high school years, was active in sports, excelled academically, and participated regularly in community service. 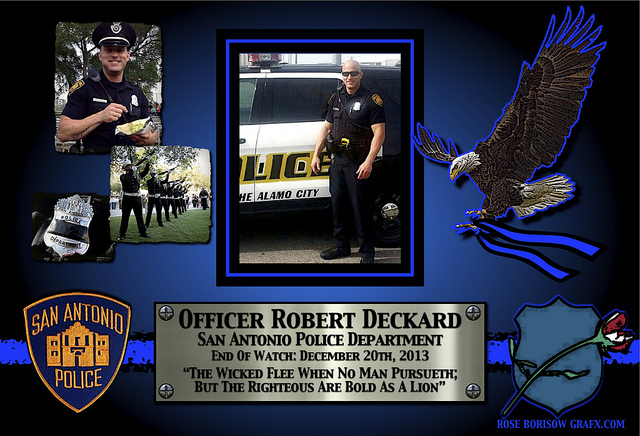 Officer Deckard also dedicated his life to serving and protecting the City of San Antonio as an Officer of the San Antonio Police Department. His classmates from Highlands HS Class of 2000 and his family and friends created this scholarship as a tribute to his life and work. To support this scholarship, click here to donate and include Officer Deckard in the memo line section of the payment. Student Eligibility: 3.0 GPA; active in Police Explorers, FFA, Football or National Honor Society; graduating senior at Highlands; a minimum of twenty hours of community service; and pursuing an Associates or Bachelors degree. Include two letters of recommendation. This $1,000 scholarship, renewable for a second year, is awarded to a graduating senior at Jefferson High School in memory of David L. McCoy, Jefferson Class of ’76. While at Jefferson, David was an outstanding basketball player and track runner. He also served as a Senior Class Officer and in that role, he was active in planning class reunions and gatherings. 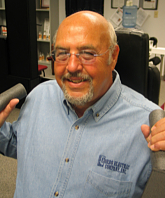 Through the years, he was a strong supporter of youth athletics. Student Eligibility: a graduating senior who played basketball for Jefferson; plans to attend a two-year or four-year college or university; preference given to students planning to play basketball in college, but not required. This scholarship was created out of the generosity of Fox Tech alumni who wish to give back to students in their pursuit of higher education. Each year, Fox Tech alumni gather to honor other outstanding alumni and raise funds to support students in reaching their fullest potential. The SAISD Foundation serves as the fiscal agent for their event and this scholarship. Scholarship recipients are selected by the Fox Tech Alumni Scholarship Committee. Submit Fox Tech Alumni Scholarship Application via Fox Tech Lead Counselor or CBA or the Fox Tech Alumni Scholarship Committee. Deadline is April 20, 2019. See guidelines. This $2,500 scholarship, renewable for a second year, is awarded annually to a student from an SAISD High School interested in pursing a career in education, health care or medicine. This scholarship was created in Dr. Greiner’s memory by his mother, Dolores Greiner. Student Eligibility: plans to attend a 2-year or 4-year college, university, or trade school; plans to pursue a career in Health Care, Medicine or Education; highly motivated with a strong desire to succeed; 3.0 GPA or higher. This $1,000 scholarship is supported by the Kelly Hawkins Memorial Fund created by friends and family of Kelly Hawkins. 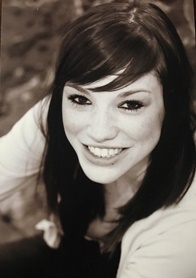 Kelly was the Dance Instructor for YWLA San Antonio and cared deeply for her students. This scholarship is designed to honor her work and passion by supporting graduating seniors from YWLA who were enrolled in a dance class during their time at YWLA with the next step of their educational journey. Student Eligibility: YWLA graduating senior pursing a college degree; active in a dance class while attending YWLA; application available at YWLA ans due March 1st. This $1,200 scholarship, renewable for a second year, was created out of the generosity of a dedicated Lanier alumnus who wants to give back to students at Lanier who are pursuing careers in business, accounting or banking. This scholarship will be awarded to two graduating seniors at Lanier High School who are attending four-year colleges or universities in San Antonio. Student Eligibility: 2.75 GPA, demonstrated work ethic; financial need; plans to attend a local college and pursue a degree in business, accounting or banking. This $2,400 scholarship, renewable for a second year, was gifted by Ana and Armando Lopez. 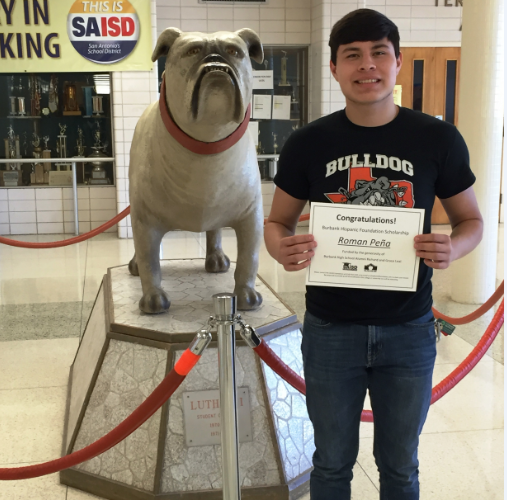 Armando is a Lanier alumnus for whom, college scholarships played a significant role. He and his wife are are now investing in graduating seniors at Lanier who have been active in community service and church service, active in co-curricular activities at Lanier and want to make an impact on the local community after their success in college. Student Eligibility: 3.0 GPA; plans to attend a four-year college or university; history of service to their community and church; active involvement in band or other co-curricular activities at Lanier High School. This $1,500 scholarship, in memory of Helen Miorelli Magaro (Jefferson Class of 1948), is given to a graduating senior at Thomas Jefferson High School who is interested in pursuing a degree or certification at Alamo Colleges. While at Jefferson, Helen was an outstanding athlete, participating in javelin, shotput and discus. 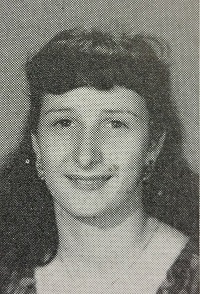 When Helen wasn’t participating in a sport activity herself, she exhibited her abundant school spirit by performing with The Lassos, Jefferson’s spirit organization that continues to instill leadership qualities in young women by encouraging academic excellence and a sense of community. The scholarship was created through the generosity of the extended family of Helen Miorelli Magaro. Student Eligibility: graduating Jefferson female student; 2.5 or higher GPA ; currently participating on an athletic team or the Lassos who exhibits team spirit and love of her community by performing a minimum of twenty hours community service; and pursuing a degree or two-year certification at Alamo Colleges. This $1,000 scholarship, renewable for a second year at $500, is awarded to a graduating senior at Jefferson High School, who plans to pursue a career in business and has a history of community service and civic engagement. The funds for this scholarship were generously donated by Thomas Jefferson alumnus Manny E. Ruiz. Student Eligibility: 3.0 GPA; sincere interest in pursuing a career in business; plans to enroll in a four-year college or university in Texas and pursue a degree in business. This scholarship is awarded to graduating seniors from the Young Women’s Leadership Academy to support their higher education at a four-year college or university. Awardees may apply for subsequent years of funding. The program was created out of the generosity of the members of the SAWHOF who continue to support these scholarships on an annual basis. The SAWHOF recognizes and honors outstanding women from the community for their service and contributions. Student Eligibility: graduating senior or alumnus from YWLA pursuing higher education; demonstrated leadership; and a desire to give back. Please visit with one of the College Bound Advisors at YWLA for the application. 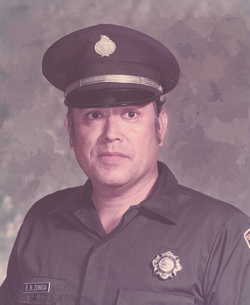 This $2,500 scholarship is given by the family of Louis S. Tamez, a native San Antonian and SAISD graduate. Lou was born to parents who were migrant farm workers and began working in the fields at age seven. 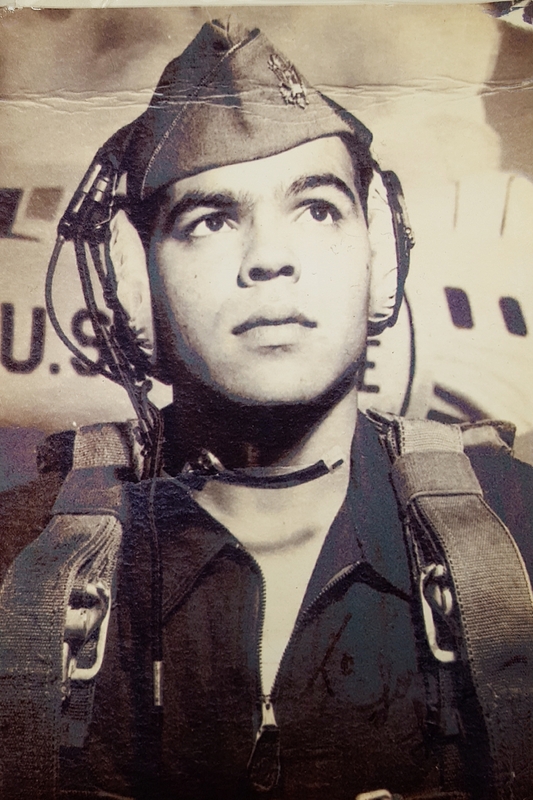 His mother instilled in him the value of an education to escape the life of poverty and at the age of 17, he joined what was then the Army Air Corps. He was one of ten men selected to go to school at the U.S. Coast and Geodedic Survey (the precursor to the NOAA), where he learned cartography, topography and aerial photography. He eventually trained as a navigator and retired from the Air Force as a Captain. Lou passed on his work ethic as well as his mother’s belief in the power of a good education. He was a kind and generous person who delighted in helping people, so it is a fitting tribute to his legacy that he will continue to help others through this STEM Scholarship. Student eligibility: 3.0 GPA; pursuing a degree in a STEM (Science, Technology, Engineering, or Mathematics) field at a 4-year college/university; preference will be given to but not restricted to first-generation college students; preference will be given to but not restricted to female applicants. This $2,500 scholarship was established in honor of Michael Tamez, who suffered from depression and passed from this life to soon. Michael was a young man with a bright and beautiful heart who was loved by all who knew him. This scholarship seeks to support and encourage individuals who wish to help others overcome mental illnesses and remove the stigma associated with these disorders. Student eligibility: 3.0 GPA; graduating seniors from Fox Tech High School who are pursuing a degree in a mental-health field (Psychiatry, Psychology, Counseling, etc.) at a 4-year college/university; preference will be given to but not restricted to first-generation college students. 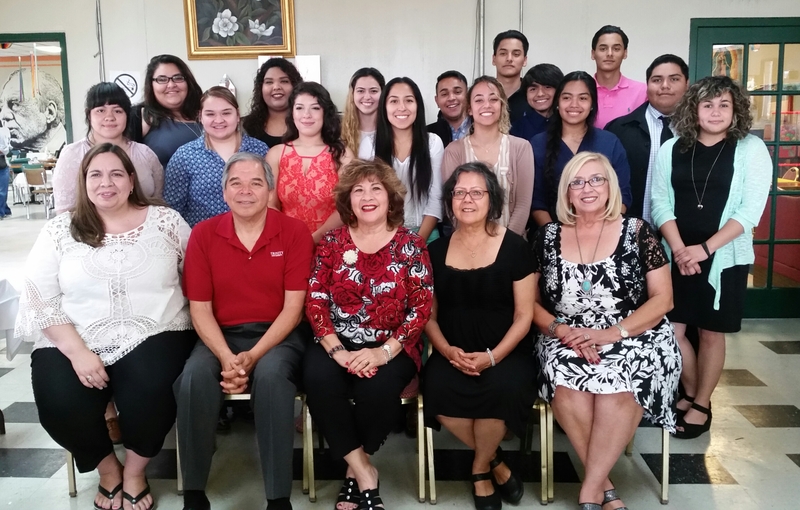 The parents and students of the PTSA of YWLA have created this $1,000 scholarship to be awarded annually to two graduating seniors from Young Women’s Leadership Academy. Student Eligibility: graduating Senior from YWLA pursuing higher education; demonstrated citizenship and leadership. Please fill out the YWLA PTSA Application and submit to the YWLA PTSA. 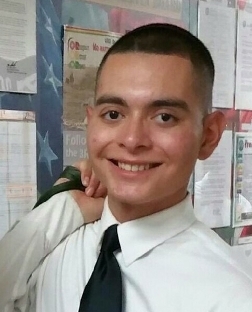 This $1,000 scholarship was created in memory of Brackenridge High School alumnus Edward Zuniga. Edward was a local firefighter with a passion for chemical engineering. The scholarship was started in 2014 by his wife and his children and will be awarded annually to one graduating Senior at Brackenridge High School, or from the Brackenridge school boundary zone graduating from an SAISD in-district charter high school, who is pursuing a degree in Chemical Engineering, Chemistry or another field of Engineering. Preference is given to students pursuing Chemical Engineering. Student Eligibility: graduating Senior at Brackenridge or from an SAISD in-district charter high school but from the Brackenridge boundary zone; 3.5 GPA; plans to pursue a career in Engineering, Chemical Engineering or Chemistry.